I wish I had more of a routine. Though, I do blog regularly. And I suppose that could be considered my writing routine. But when it comes to working on plays, I have to carve out time or seize it when the opportunity arises. This is the case for lots of artists who have a 9 to 5 job. But it's not just the 9 to 5 job and writing you have to balance, there's the rest of your life: errands, working out, gardening, household chores, hanging out with friends, going to see plays and of course, writing. It's a bit like plate spinning. Essentially it's like having two jobs, but the same amount of hours in a day/week. I've struggling to keep my plates spinning and have had some months where I've been more successful than others. Usually it's the months when I'm trying to make some sort of deadline (nothing like a deadline to light a fire under you). This year I decided to take a page from my 9 to 5 and apply it to my playwriting. At the beginning of the year I developed a work plan to help me move projects along and set goals for each month (both writing and professional). I'm finding that the work plan is helping me feel like I'm making some sort of progress and provides me some way to measure my work. Which, I have to say, I need. So do I have any sort of routine? On Tuesdays and Thursday evenings I have a bit more free time for writing, but not much. That means its the weekends when I try to do the majority of my writing. Which isn't fun, because, well, it's my weekend. And I want to relax, go outside, do laundry, etc, etc. But that's the way it is. For now at least. I know it doesn't sound very disciplined. But in the past five years I have managed to write four full length plays, am in the process of writing two more and have written sixteen ten minute plays. This isn't to say I'm satisfied. But, what artist ever is? When I was in grad school, I wrote two full-length plays, 12 short plays (10-15 minutes), 1 screenplay, and 2 outlines for screenplays, every academic year (that would be a 9 month period). During the summer I usually produced one of the full lengths and/or wrote out one of the outlines. This year, I wrote a full length and wrote for 5 of the 6 playground months. Paltry in comparison to the grad school years, but nothing to be ashamed about either considering, I also read stories to my kid every night, got laid off, got a new job, had several surgeries, paid taxes and helped my mother-in-law through some tough times. 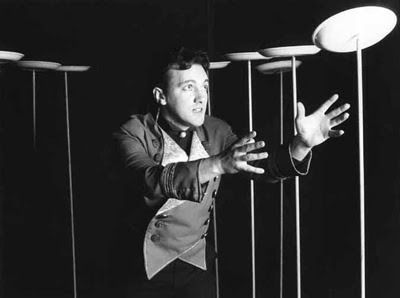 Plate spinning is exactly right. You are so right about the time and space that grad school provides. When I was working on my MFA in Poetry I remember thinking, when you leave grad school you're not gonna have all this time, so enjoy it! Yes, I had homework, but it was all related to writing or studying the craft. I do miss the days when I had an on campus job and class twice a week. Though, I hope to some day return to a lighter work schedule. Let's hope it's in the stars. And you do it anyway.